Self-Love (or self esteem) is the single most important tool for personal development. It will influence absolutely all areas of your life; from finances to relationships and even your overall mood. Therefore, knowing how to boost self esteem will take you further than you have likely imagined. Contrary to what most people believe, a healthy level of self-love is not something that everybody develops naturally. It’s also not an indicator of your real value as an individual. There are many people who have enormous potential, and do not accomplish much because of a lack of confidence. And confidence is directly proportionate to – you probably guessed it – how much you love yourself. Most people start life with a beautiful amount of self esteem. Have you ever complimented a young child on an accomplishment for example? If you tell them they’re awesome, they agree with you! Instead of acting uncomfortable like most adults do as they try to divert attention someplace else so you don’t think they were fishing for a compliment. Understand that when we are talking about self-love here, we are not referring to being self-centered or conceited. It’s more about a healthy perception of you as a unique individual. It is about the fact that you can be whomever you chose, and if you understand that the most important opinion is yours, then you’ll be an attractive, happier, more enjoyable person towards everybody. So do the world a favor and start loving yourself! 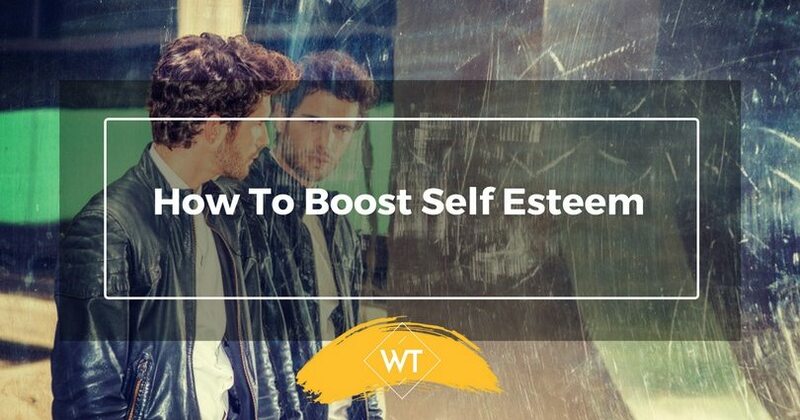 Need help understanding how to boost self esteem? Most people do, even those who seem to have everything under control struggle sometimes to keep up with a good self-image. No matter how small you think your accomplishments might be, you need to be aware that they exist. Success is not the same for everybody, so don’t fret thinking what others might consider to be an accomplishment, this is all about YOU and only YOU for a change. Sometimes when things are hard even getting to work on time or making the bed before leaving counts as an accomplishment. Make sure you make space at home or even at your desk were you can display reminders of your personal success. They can be photos, notes, awards, anything that you can look at and recognize as a symbol of success. As you get your mind used to the idea that in fact you are a very capable person you will be driven to accomplish more and bigger things. Every person that has ever accomplished anything remarkable has also committed remarkable mistakes. Take failures as a learning opportunity. And please, do not beat yourself up for something that cannot be changed. Most of us tend to be harder on ourselves than on anybody else, realize that obviously you did the best you could with what you had at the moment, and that sometimes what we believe was an epic failure ends up being exactly what was needed for something better to happen down the road. 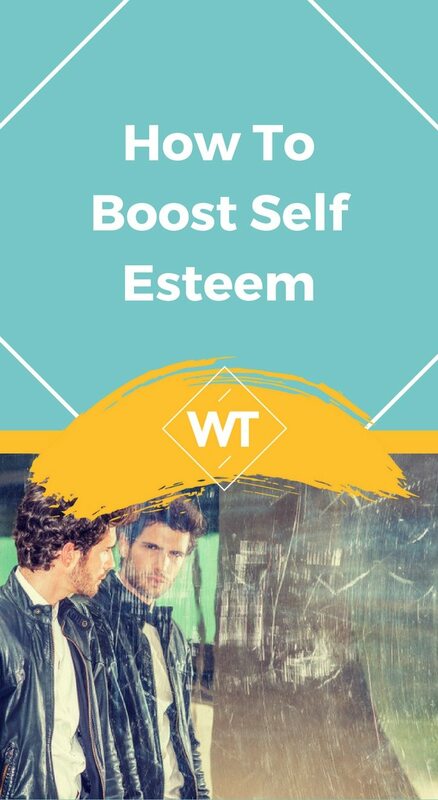 Need another idea on how to boost self esteem? Pay special attention to the people you spend time with. How do you feel after hanging out with a particular person? Some people are chronic downers. They will criticize everything they can and will deflate your enthusiasm. Some even do it under the false belief that they are doing you a favor. Others might disguise it as jokes, and would act surprised if you ever confronted them about it. If you can, completely avoid them. If they are family and it is almost impossible to stop seeing them, then learn to “navigate” them when you cannot get away. Stop paying attention to their comments; remember that their negativity is really about them. And do not tell them about your new exciting plans or projects if they aren’t the supportive type. Do seek positive people, those who will give you honest feedback and will feel genuinely happy when good things happen to you. If you don’t have enough of these in your life, go find them, make new friends, they are out there! And once you do, keep them! For the same reason why you would avoid negative people, make sure you are not being one of them inside of your head. Be aware of how you talk to yourself, be gentle, be kind, and be nice! Sometimes this is very difficult for people who grew up being spoken to in a harsh manner. Realize that you are an adult now and you can and should protect that child of your past. A good exercise (which is as effective as it is uncomfortable at the beginning) is to talk pretty to yourself in the mirror every day. Compliment yourself, look for things to like, and do it out loud not just in your head. If you are afraid somebody will hear you, just put some music on or even wait until you are alone in the house, but do it until the uncomfortable feeling disappears. If it feels wrong to talk nice to yourself, then you know you really need it! It’s as simple as that. Way too many people live a life of sorrow because of things that happened in the past and cannot be changed now. Or they don’t enjoy what they have because of emphasizing things outside their control. If there is something you can do about it, do it! If not, forget it! And put your energy towards that which can be improved. Would you like to have a nicer body? Well, there is plenty you can do about it, even if it’s in really small increments, you can get in shape. Would you like to have been born in a different country or under better circumstances? Well, that one you cannot change, so why even waste your energy thinking about it? Just put your efforts towards improving your present and your future will be brighter by default. 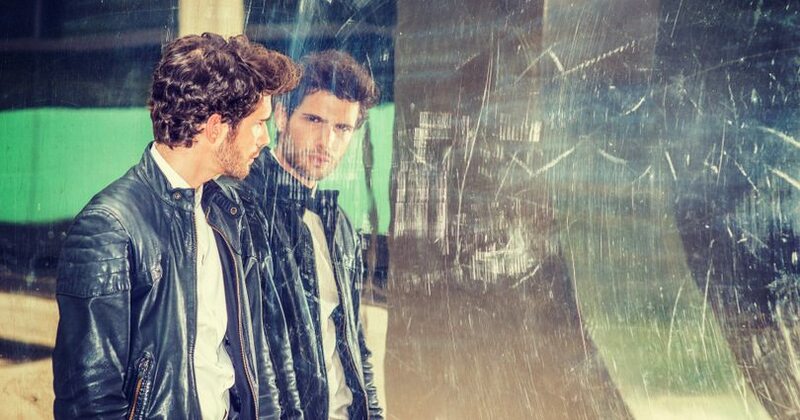 Let’s stop the unfair comparisons, there are no two people that are the same, therefore comparing yourself with others is always unfair. If you see things in others that you would like to have in you, embrace them, and work towards it. But remember that your only competition is yourself. Be impressive! Sometimes people do not even realize they are succeeding. They have a very stiff and unattainable idea of what being successful means and they walk around not knowing that it’s not only a variable (and very personal concept), but also that success is comprised of many little triumphs. To make yourself more aware of your accomplishments, make a list! Start with a list of 30. You might find the first 10 relatively easy but after you get yourself out of the way, things like graduated from this, or got such and such a job, you will have to start thinking harder, and you will start realizing that there is more success in your life than you even knew. Work on that list until you can count at least 50 successes, and after a couple of months have passed, start a fresh list. Remember that things like keeping your cool and not screaming at your kids when they were driving you insane or putting out “fires” elegantly at work are a success. Many people are working hard on being able to achieve exactly that. So give yourself credit! You are no longer what you used to be. No matter if we are talking about back in middle school or an hour ago. You can renew yourself and decide things are going to be different at any point. So update your self-image and stop thinking you have the same “hold backs” that you used to. Sometimes we continue to act a certain way because of what others expect. If that is the case, change your scene, look for new groups of people to start fresh and do different things. If necessary, move! It’s your life we are talking about here so do whatever it takes. Sometimes a vacation will give you a new perspective, even if it is just a weekend getaway. But even if you cannot go far, know that most people will fight you a bit on the updated you but usually only at the beginning. If they are good for you they will stick around and even be happy for you. If they are not good for you, then they will thankfully distance themselves. The best piece of advice we can ever possibly give you on how to boost self esteem is only two words long: Love yourself! Loving yourself is the most wholesome improvement you can give your life. If you are on a quest to have it all, succeed, and be happy, this is certainly your first step. The most dramatic and impressive changes always come from within. The power is and will always exist in you. Yaiza is a published author with a background in psychology and behavior. She has been an ecological educator for Zoos and aquariums, and has been and continues to be involved in several charitable projects and organizations. Her goal is to be active on building a better life for the present and a better world for generations to come.